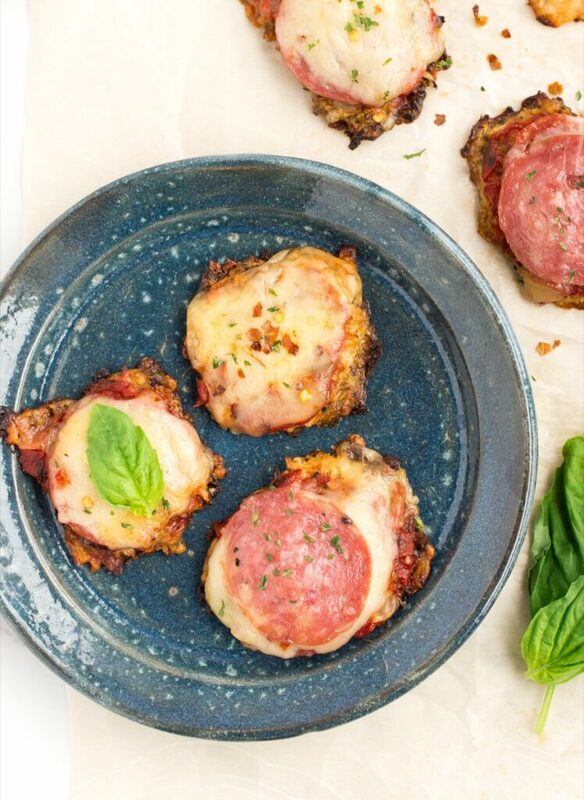 This recipe uses a cauliflower crust to pack some extra veggie power, tastes delicious and comes in a fun pizza form! 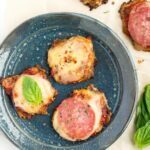 Perfect for kids, delicious for a grown-up party snack or appetizer and plus: you can make and freeze these to heat and eat on a busy weeknight and add any delicious toppings you want. I’ve been lucky to have two kids who are relatively good eaters, and who are open to new foods and flavors. And I love to experiment with new recipes, meal ideas and more! But that doesn’t mean I don’t fall into ruts like everyone else. For the most part, I like feeding my kids vegetables in their original form, so that they can learn to taste and appreciate how delicious they can be. That’s sometimes easier said than done, especially now that the kids are older and need more traditional entrees instead of just separate veggies, beans, fruits and proteins on a plate. This recipe packs some extra veggie power, tastes delicious and comes in a fun pizza form! 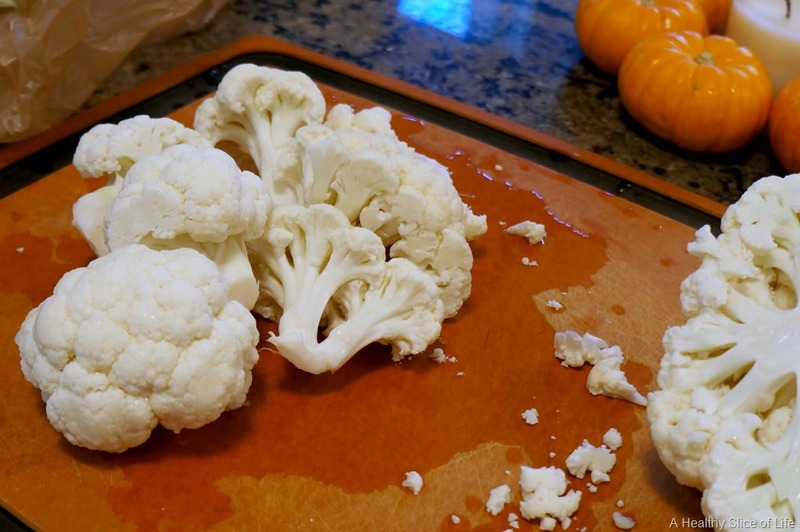 Wash and trim the cauliflower, then cut off half of the florets. Place them in a food processor. Transfer the cauliflower “rice” to a nonstick pan. Sauté over medium heat for 6-8 minutes. Press and flatten the “dough” into bite-sized pizzas. You should be able to get 15-18 bites. Top your pizzas with anything you want! Put the pizza bites under the broiler for about 4 minutes, then serve them warm. 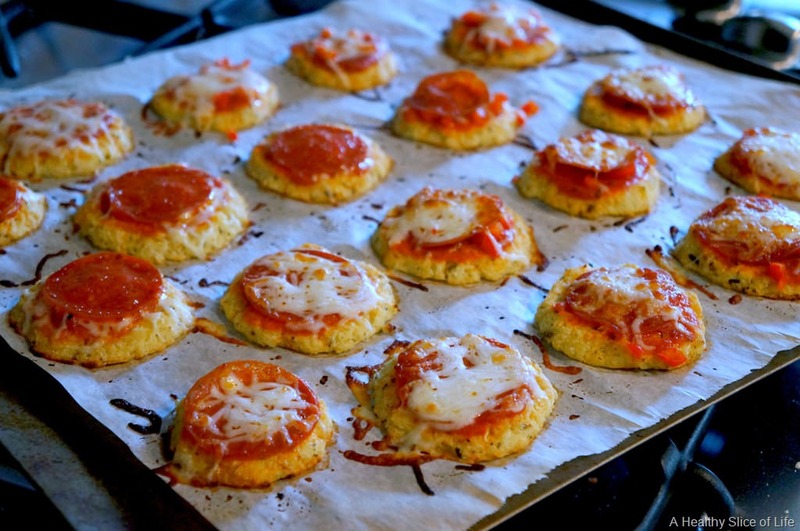 You’ll also need parchment paper and any toppings you’d like to add (in this version, I used shredded mozzarella, pepperoni and finely diced red pepper but whatever your child will eat, go for it!). 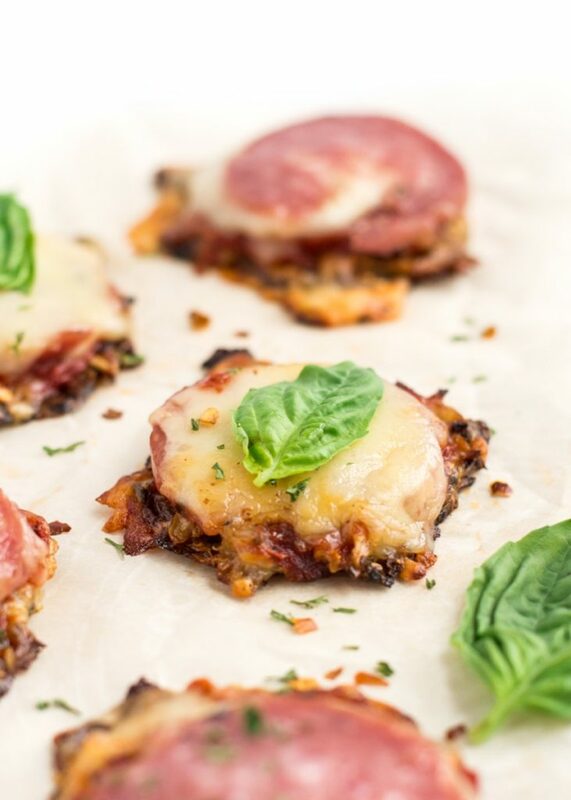 In a previous version of this recipe, I called for the oven to be heated to 400 degrees but got feedback that that high heat could lead to burned bottoms of these mini pizzas. So, I’ve adjusted it to 350 degrees. You may notice that this recipe uses the same crust method I showed you in this post: Cauliflower Pizza Crust. Once out of the oven, I topped them. Now I used shredded mozzarella, pepperoni and finely diced red pepper because I know Hailey likes it. If your child doesn’t even want to SEE a vegetable, stick with cheese. They’ll never know. I broiled the pizza bites for about 4 minutes, then they were ready to serve! 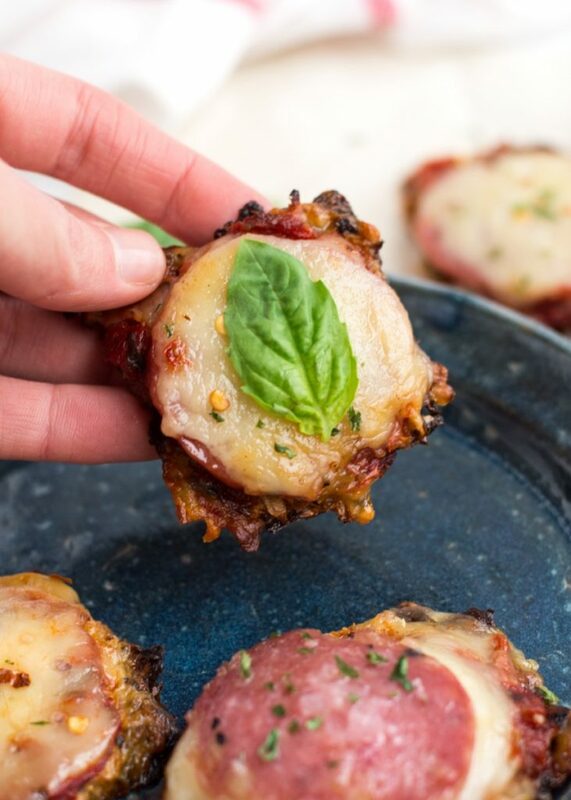 These pizza bites would be great for multiple children or even a party, but if you can’t eat them all at once, wait until they cool completely, leave the basil leaf off, then freeze them on a baking sheet. After they are frozen, you can transfer them to a bag. 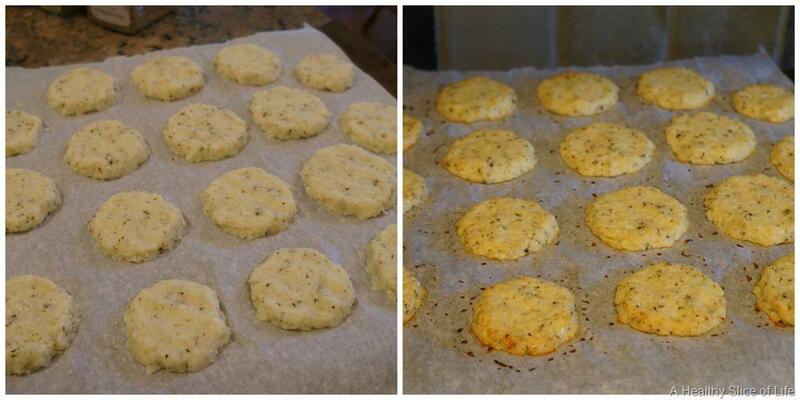 When ready to eat, bake them in the oven at 350 degrees for 10-12 minutes until heated throughout. The result will be best if you can reheat them on a pizza stone to firm up the bottom. However, they still taste just fine either way. You could always serve these to adults too, because let me assure you, I put away my fair share. Note: this recipe was originally published in 2013 and updated in 2018. Love this recipe idea!! 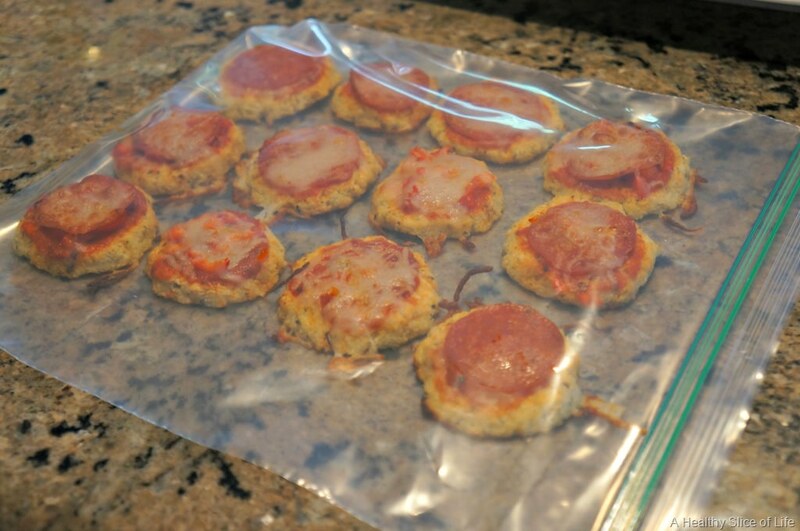 I’m going to be making this for my little one…she loves pizza so why not make these and sneak in some extra veggies! These are SUCH a cute idea!! Funny, but I think I’m going to make these for me! I’m such a picky eater, and veggies aren’t something I love. 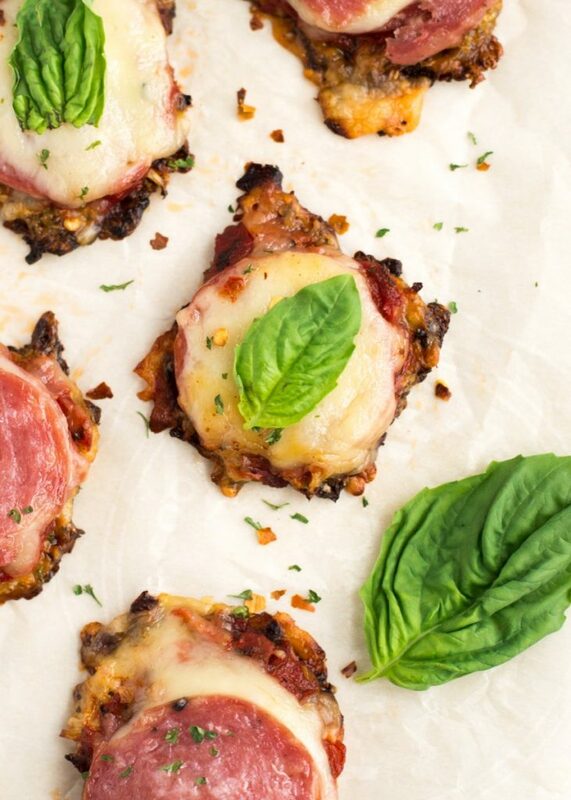 I definitely need to try this cauliflower crust and pizza bites! I love pizza! Genius! Both L and I would love these… hubs, too. Cauliflower is one veggie she will no near. Thanks for hosting! 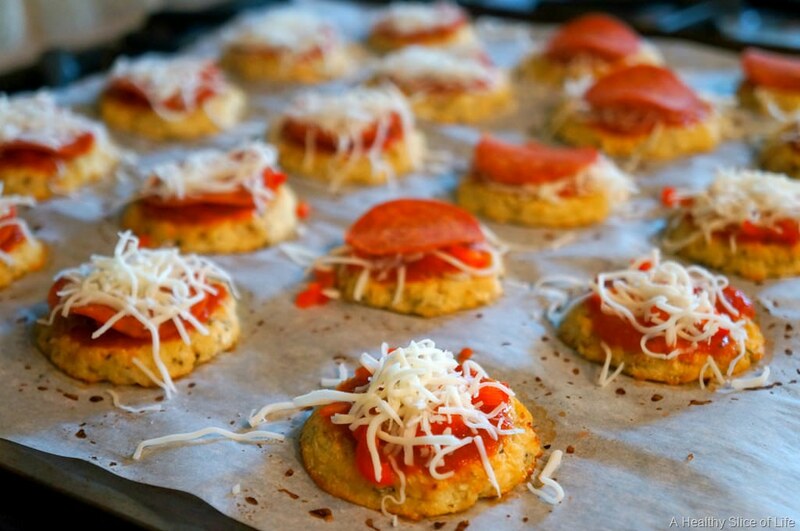 I would totally eat these mini pizzas! I love how healthy and convenient they are! I need to pin this!! These look delicious. I bet Penny would love them. You’re seriously such a great mom. This recipe idea is great! What a great idea! I’ve made cauliflower crust pizza for myself before and love it! pinning! It’s like the new version of bagel bites! Pizza in the morning, pizza in the evening, pizza at suppertime. When pizza’s on a cauliflower, you can eat pizza anytime! Oh good grief. It’s been a long day. Forgive me. Making these this weekend! Em is going through a serious picky stage right now and won’t eat veggies (gasp). I don’t have a munchkin at home but these would be perfect for football Sunday! Those pizzas look amazing! I’ll be sure to try this for my family. I’m 25 and think those look amazing! I just might make them the next time I have friends over! I need to try these pizzas!! I think the whole family would love them + having some frozen on hand would super nice on those busy days. What a brilliant meal idea!! We all love pizza in my house (Emmett especially) and this is a fantastic way to make it healthy. Thanks for sharing & thanks for hosting the link-up!! LOVE THIS!! And I can’t believe I forgot to link up. It’s ALL I think about when I feed Nia each meal and then I failed to do a post. GAH!! It’s the first Thursday of every month, right? I need to start writing this kind of stuff down!!! What kind of sauce did you use? This time I used Dei Fratelli pizza sauce. It’s one of the best tasting sauces I’ve found! They look stunning. A great way to get kids to eat healthy food. I can’t find where it says how to make the pizza bites. It’s easy to see how this recipe would work well for picky eaters, as well as for kids who do enjoy their veggies.